1987 Chevy C10 SWB Silverado – V8 TBI , Auto, Power Window/Locks, Lowered, Rims, EVERYTHING is Brand New! 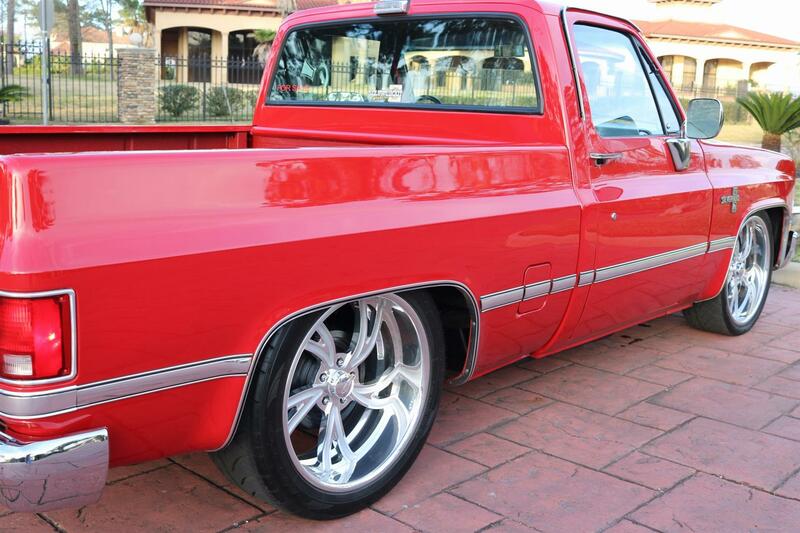 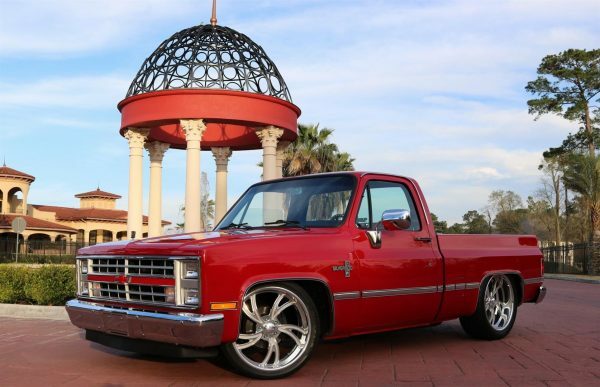 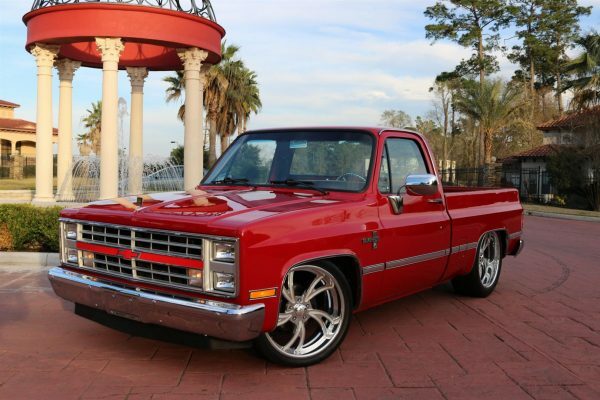 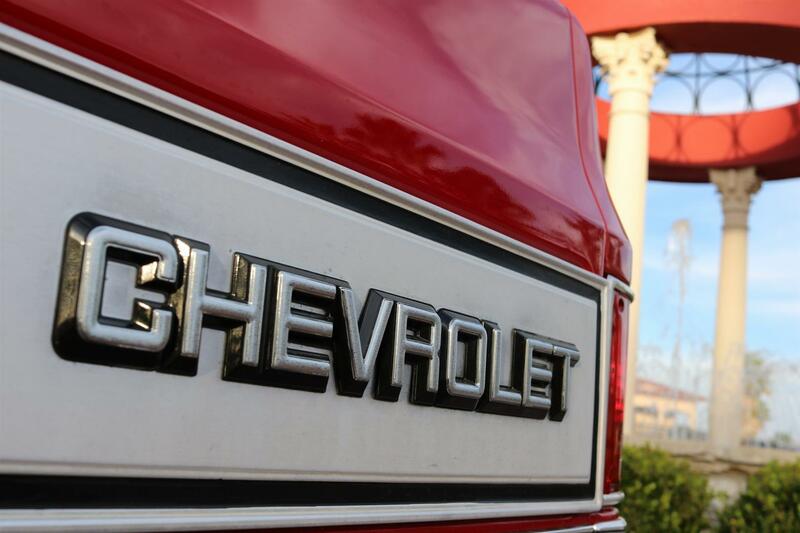 1987 Chevy R10 Silverado – We search the US daily for the very best classic trucks and SUVs available. Kind of like what led you to this ad … except we do it 50+ hours a week. 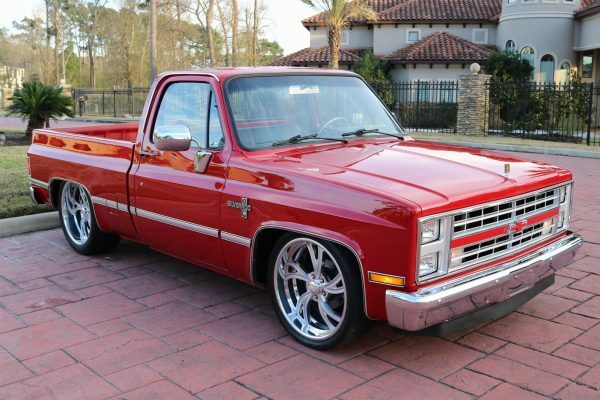 Our diligence landed this exceptional ’87 Chevy Silverado Short Bed into our inventory and we know it will make the next owner extremely proud to own. 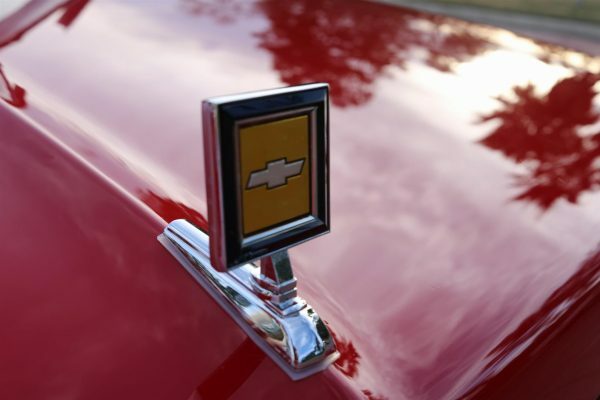 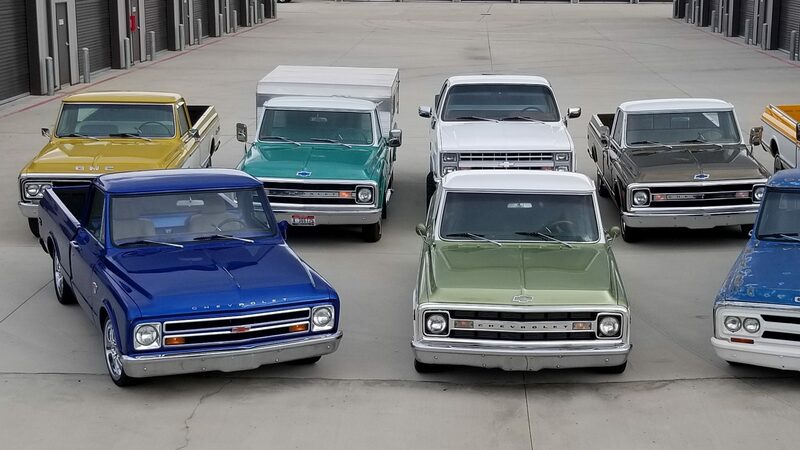 This classic Chevy c10 was local recent purchase here in TX. 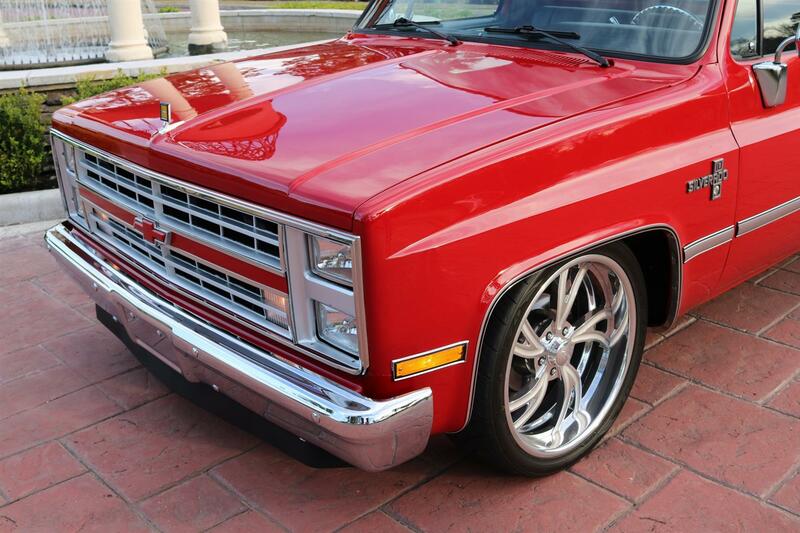 This truck has been fully restored and looks even better in person than it does in photos! 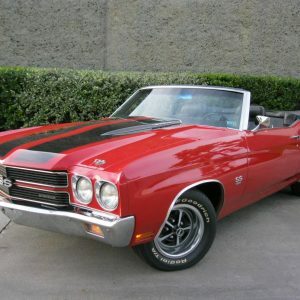 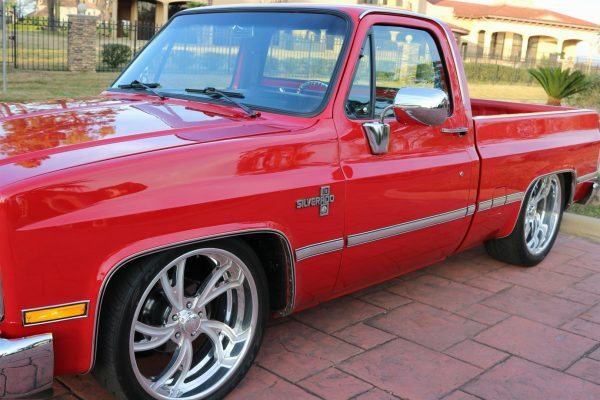 It could easily be a show truck and is extremely clean inside and out. 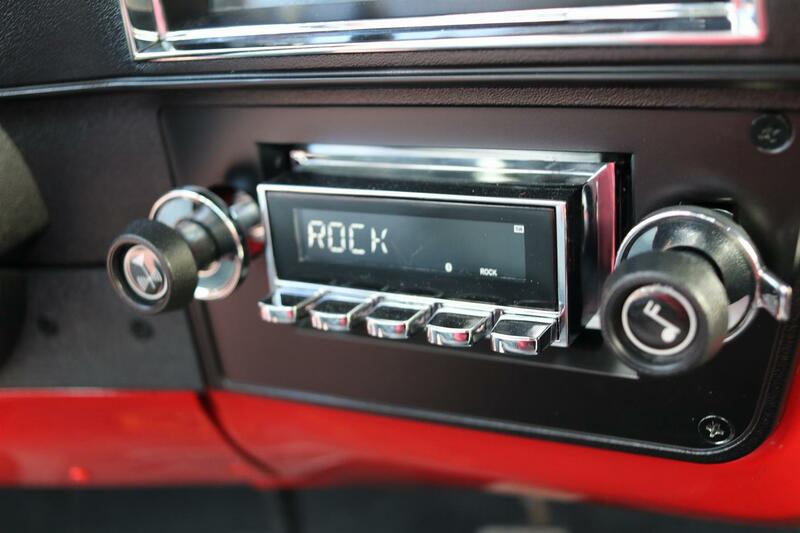 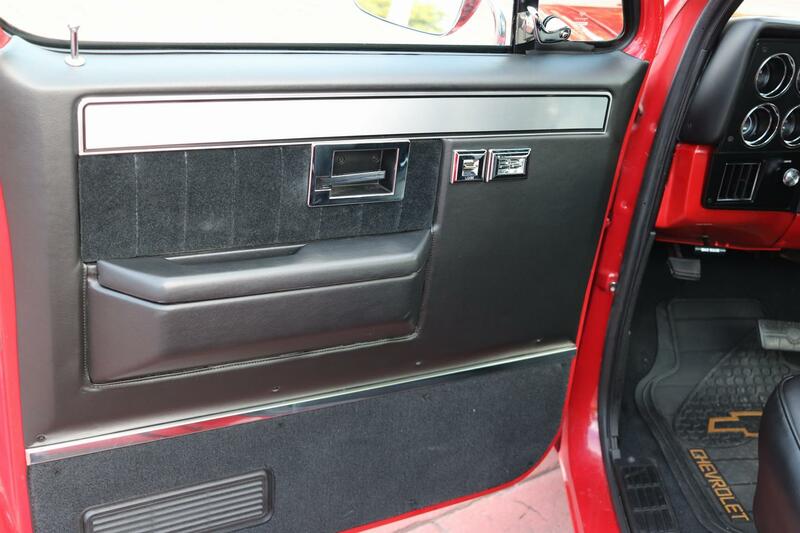 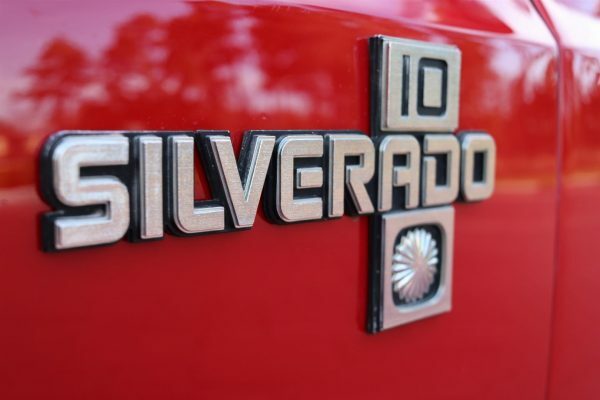 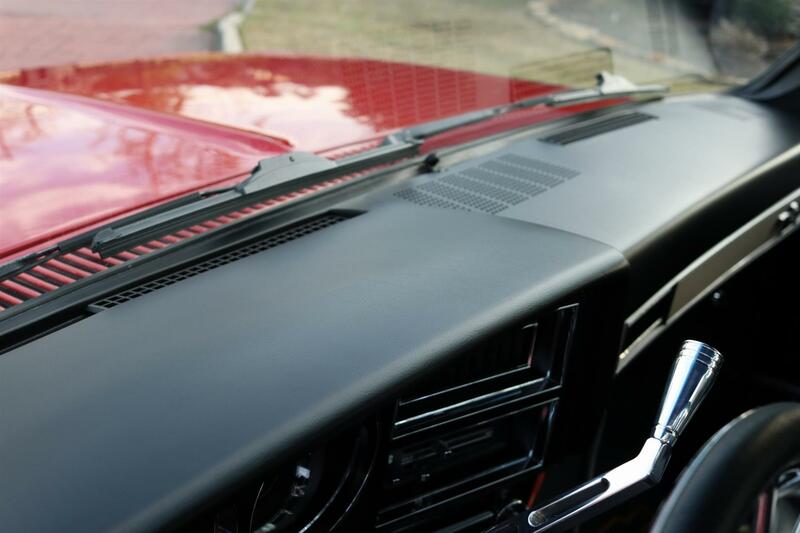 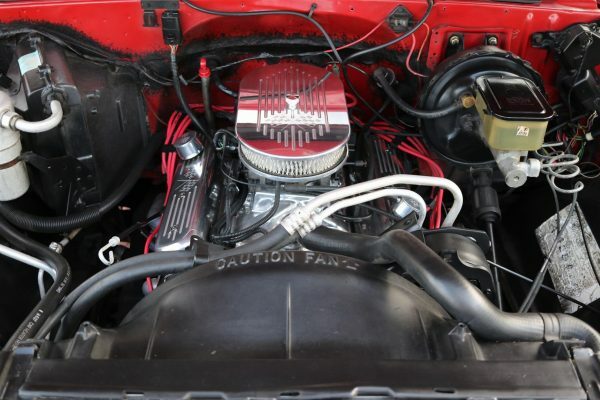 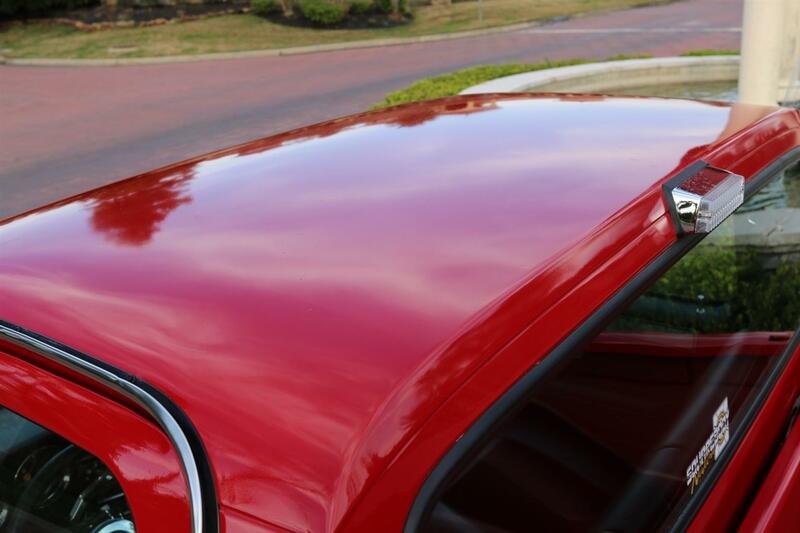 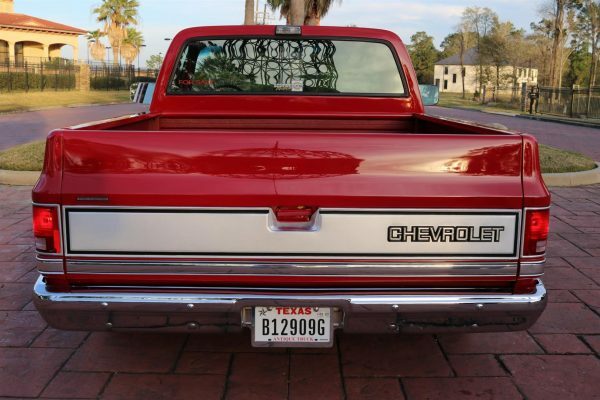 As you can see the photos, this Silverado was finished its original and stunning Apple Red paint color, the original engine was rebuilt and dressed up, and even the retro radio highly resembles the original. 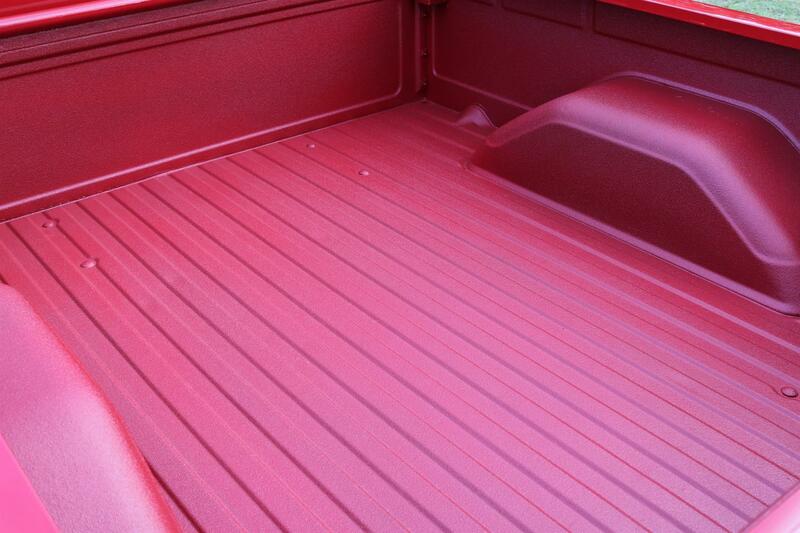 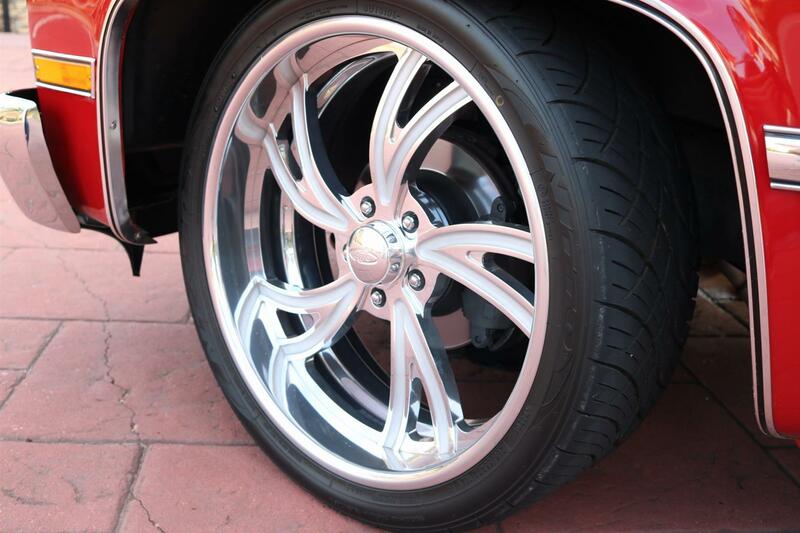 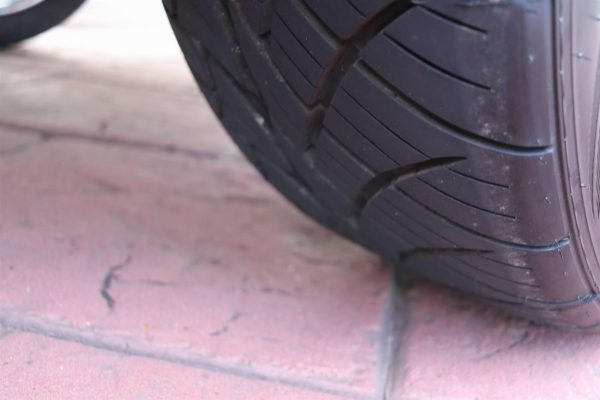 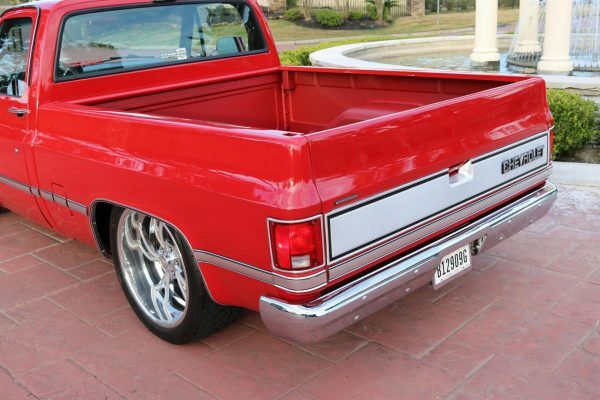 The truck has a 4″ drop in the front and 6″ in the rear. 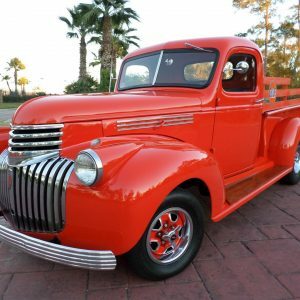 As you will read below, almost everything on this truck is brand new and is a real head turner! 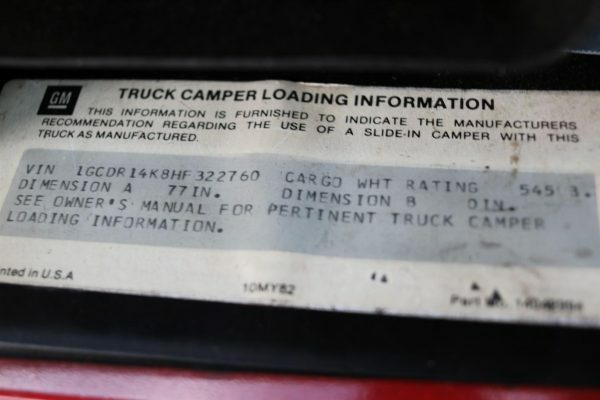 We have done a full inspection of the truck and it needs nothing that would give us any hesitation in driving it any distance. Features and options on this classic Chevrolet Silverado include; 350 V8 TBI, Auto (rebuilt in 2016), 2WD, Short Bed, Power Steering & Brakes, Power Window & Locks, A/C, Center Console Storage w/ Cup Holders, Chrome Valve Covers & Air Cleaner, Cruise Control Equipped, Rubber Floormats, Retro AM/FM/Bluetooth Radio, Dual Tanks, Billet Steering Wheel, Tilt Steering, Tinted Windows, Chrome Bumpers & Mirrors, Color-matched Bed Liner, Dual Exhaust, and a $5k set of Intro Mag Wheels with New Nitto Tires! 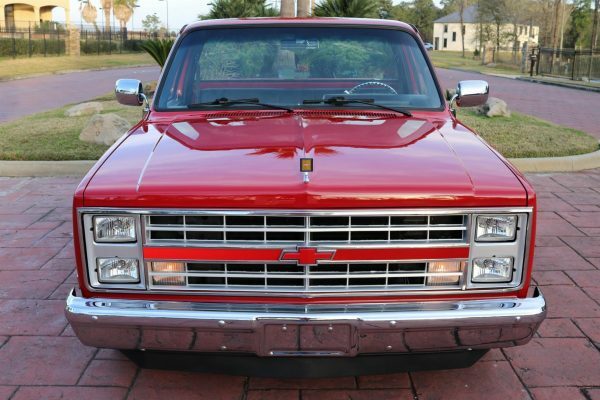 The following items are all brand new on this Silverado; front bumper, bumper bolts, front valence, headlights, hood ornament, wiper valence, windshield, rear window, LED gauge lights, flashers, radio, JL Audio speakers/amp, inner door handles, lock and window switches, cargo light, headers, exhaust, shocks, lowering kit, rims and tires. 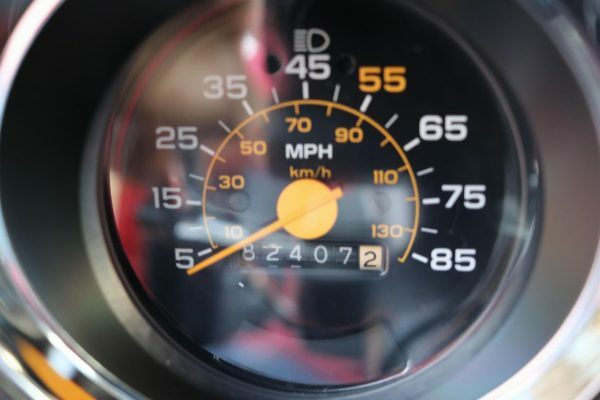 One of the best parts of the entire truck is that it has 83k miles since new and less than 2k miles since restoration! 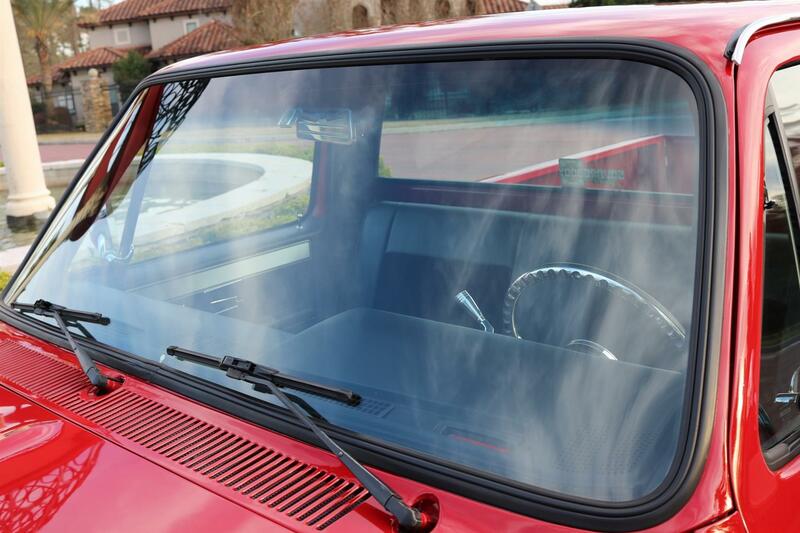 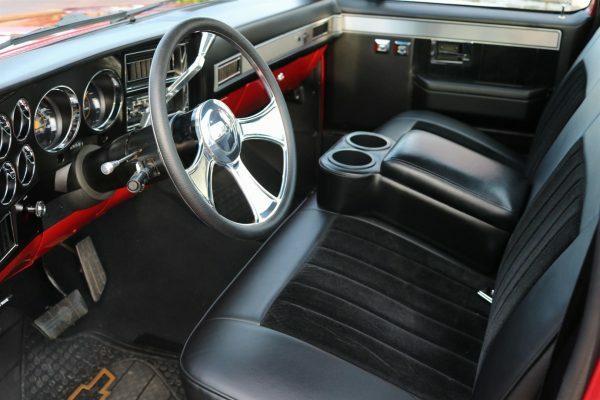 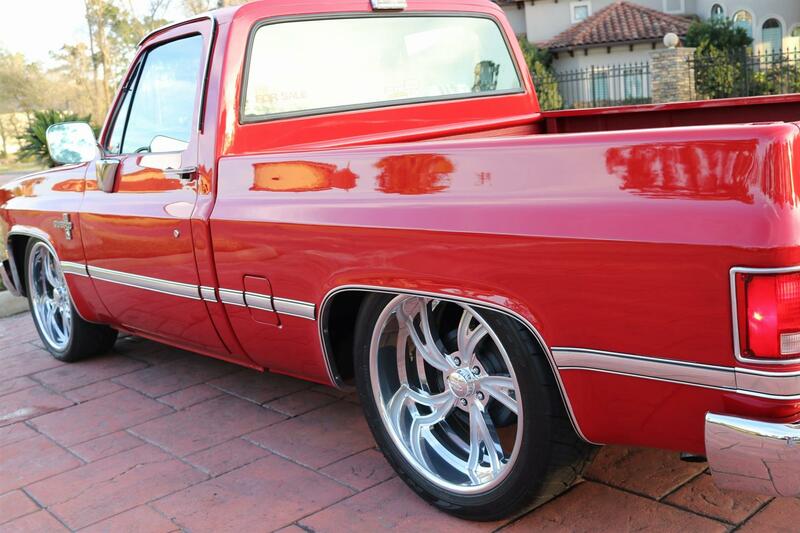 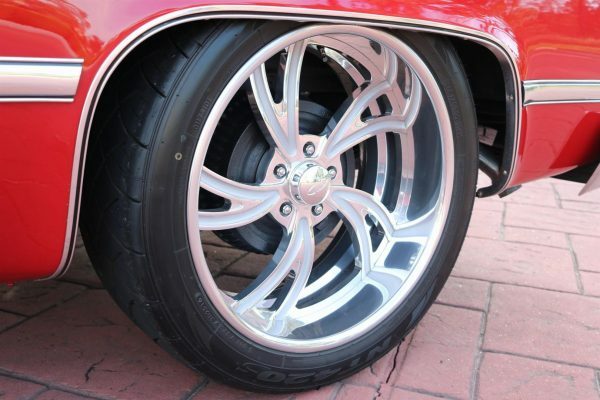 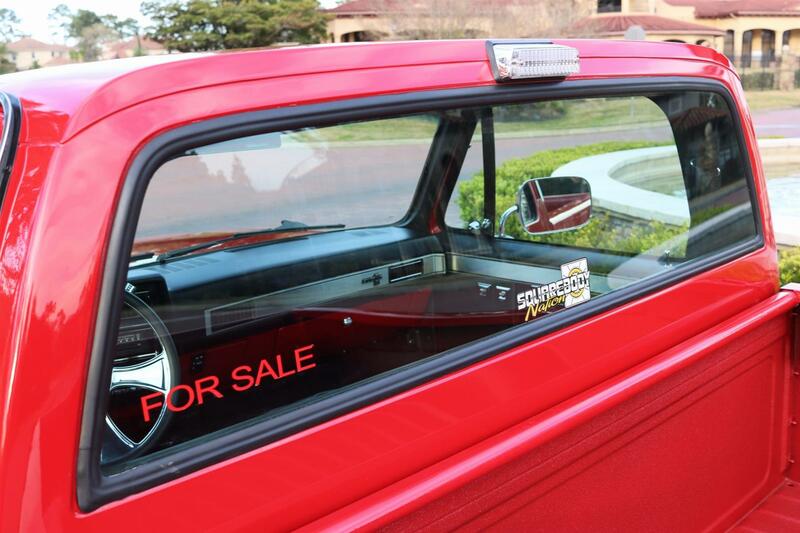 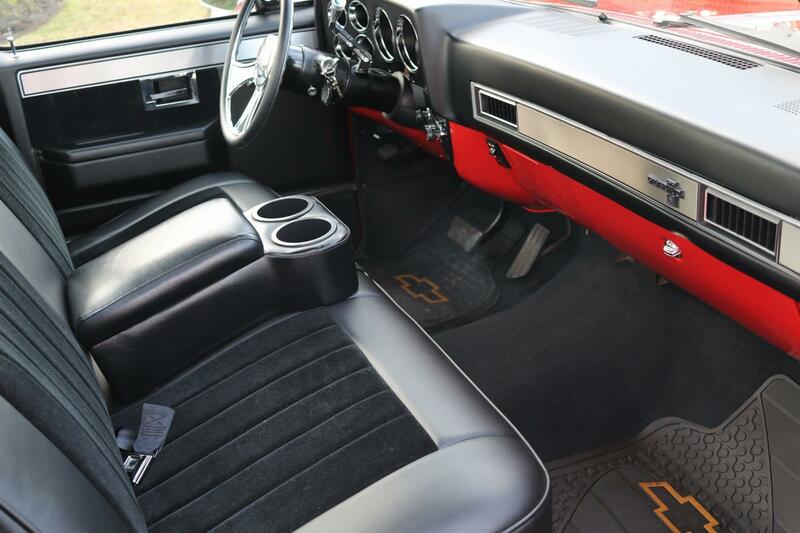 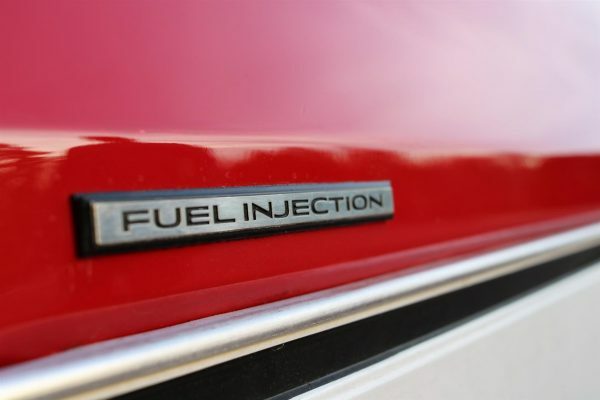 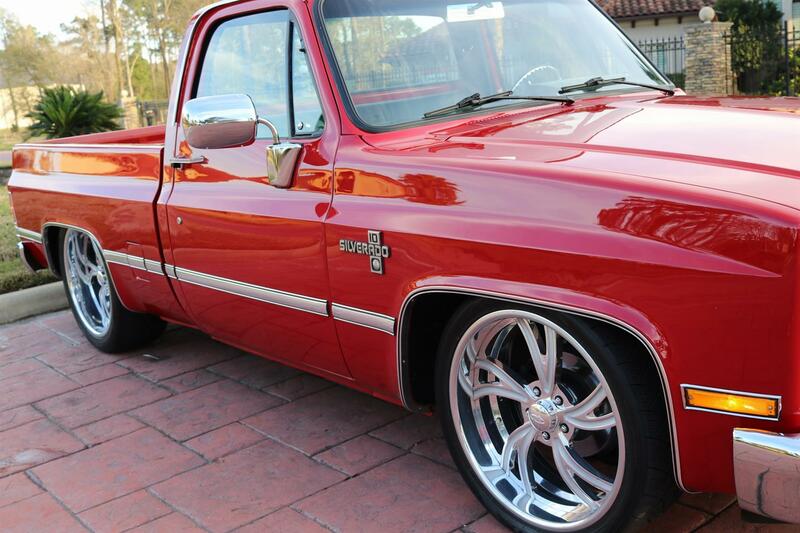 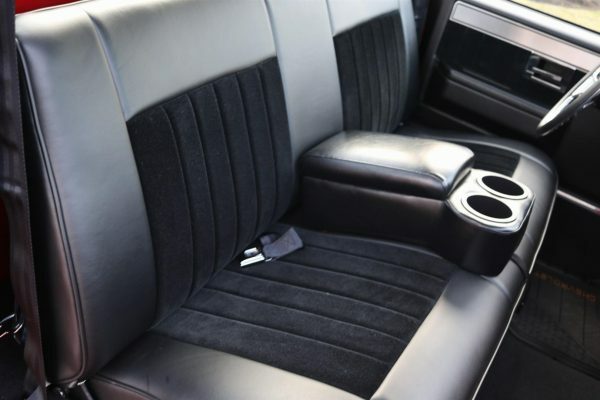 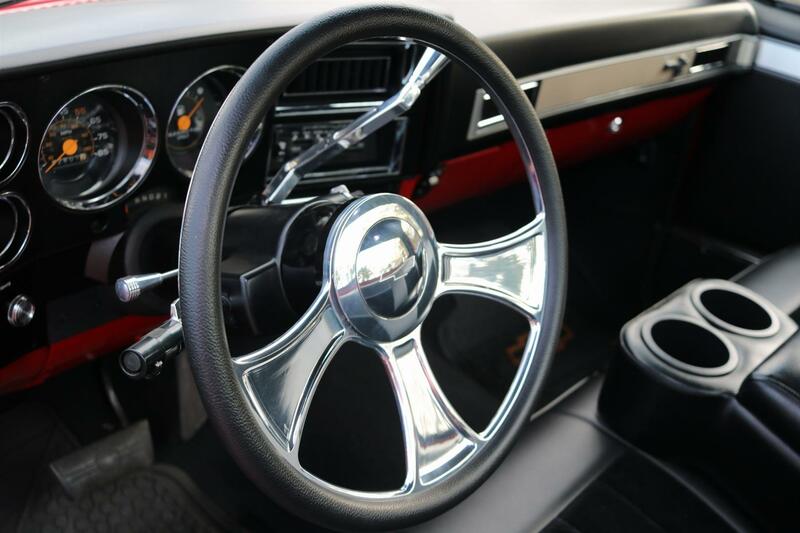 This C10 runs great, looks amazing and is in pristine cosmetic condition inside and out. 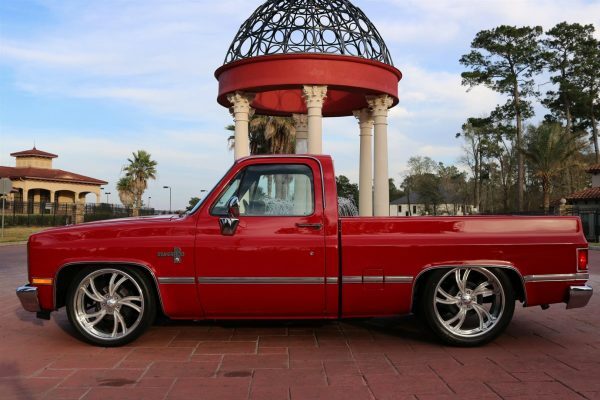 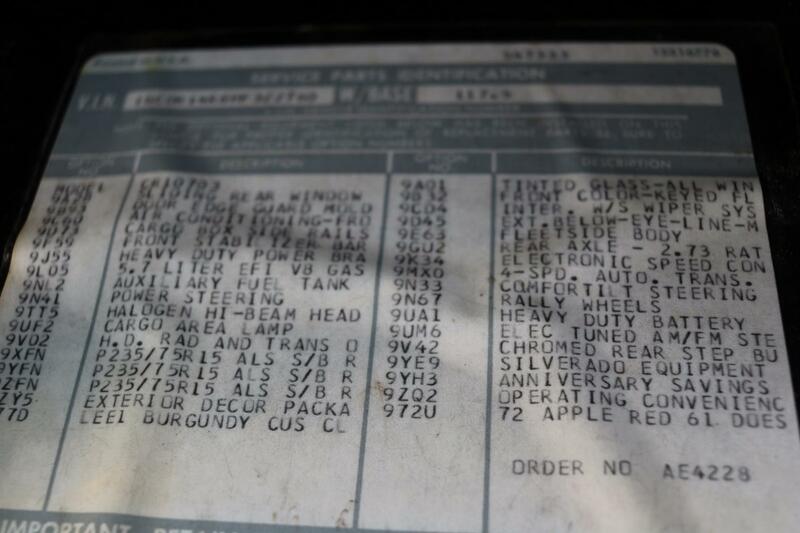 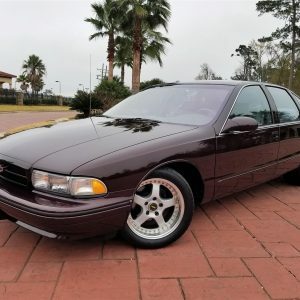 This is a truck you don’t want to pass up for only $29,900.